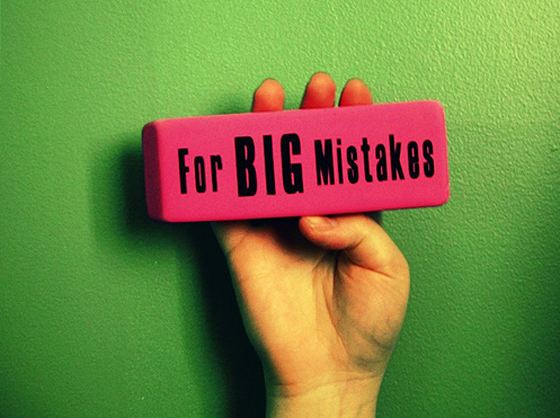 Are These 6 Stupid Blog Mistakes Costing Your Business New Leads? You’re blogging your socks off. You work damn hard to generate good blog post ideas. You polish each sentence. You choose the right words. Heck, you’re even watching your punctuation. Does it sometimes feel a little too much effort for too little gain? Does your blog really generate the business you deserve? Let’s have a look at the 6 most common blogging mistakes that could be screwing up your precious business leads. A blog without an email list is like a swimming pool without water. A bar without beer. A city without transport links. People may arrive at your blog by accident once, but what makes them come back? Email allows you to nurture a relationship. It encourages people to come back whenever you publish a new blog post. An email list allows your subscribers to get to know you, like you, and trust you before you start selling your products and services. Write a short, engaging email each time you publish a post. 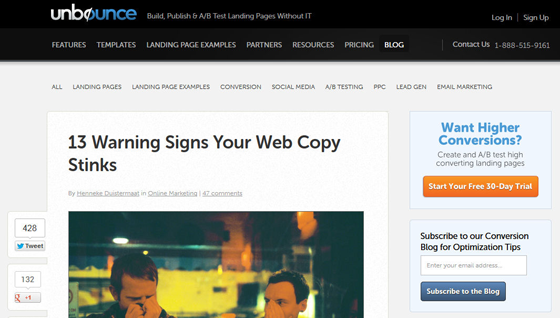 Get people to click through to read your blog posts on your website. Because that gives you a better chance that they browse around to look for more information about your products. You can also use an autoresponder email series to welcome people, point them to popular blog posts, and offer a trial or a discount. One-time blog readers are useless unless you make them return again, and again. Do you agree that email is important? Your first action should be to remove your RSS button. Don’t give people the choice between RSS and email. Because email is much more valuable. For instance: I have 313 blog feeds organized in 21 categories on Feedly. And I just checked: 3,202 posts are unread. Do you think I will read all these posts? Come on. I’ll soon mark them all as read in one go. Without reading. Perhaps even without scanning the headlines. Give people a reason to sign-up. Get updates isn’t an incentive. What will they learn when they sign up? How will you help them save or make money? How will you make them happier, healthier, or more productive? Consider a bribe – a relevant bonus like an ebook, video, or free e-course. Place your sign-up form in strategic locations, like at the bottom of a blog posts, in your side bar, on your home page, and on your about page. Increasing email signups is a careful balance between not annoying loyal readers and ensuring new readers sign up. Be careful with how you use pop-ups. Consider the DreamGrow Scroll Triggered Box or use a simple plugin like Elevatr to design forms that stand out. For more information on optimizing your signup forms check out How to Write High-Converting Sign-Up Form Copy or 14 Steps to Building Sign-up Forms That Convert. Nobody likes chatting with a corporation. Nobody fancies taking a company out for dinner. Nobody enjoys phoning a call center robot. So why does your blog sound so corporate? Stop talking about your products, your company, and your services. Instead, answer your readers’ questions and help them solve their problems. Write as if you’re having a conversation with your favorite customer. Use the word you more often than the words I and we. Create your own unique blogging voice. Use phrases only you use. Avoid gobbledygook and jargon – unless your readers use the same words. Write compelling subheadings to tempt scanners to start reading. Stop selling on your blog, start teaching. You’ll sell more. Blogging and SEO are a powerful duo, but you have to maintain a careful balance between the two. Too much emphasis on SEO slaughters your creativity. It makes your blog posts boring as hell. But ignoring SEO is a wasted opportunity. You might miss out on relevant traffic and precious leads. How can you strike the right balance? How can you write seo-friendly blog posts that your audience will love? Always write for your readers first, optimize for keywords later. Think about the questions your audience asks; use each question as a headline to target long tail traffic. Consider the choices your audience needs to make and write comparison posts to target even more long tail traffic. Create resource pages where you collect your best posts about a specific topic. Only publish blog posts you’re proud of. If you’re bored with blogging, rest assured: you’re boring the bejesus out of your readers, too. How can you write interesting blog posts if you don’t feel passionate about what you’re writing? How can you fascinate your readers and get them to read your posts word by word, if you’re just throwing a few sentences together because you have to? If you’re bored with your topic, switch to another topic. Yes. Seriously. At some stage you’ll find that you’ve written enough about the same old topic. It’s time to mix it up and widen your scope. 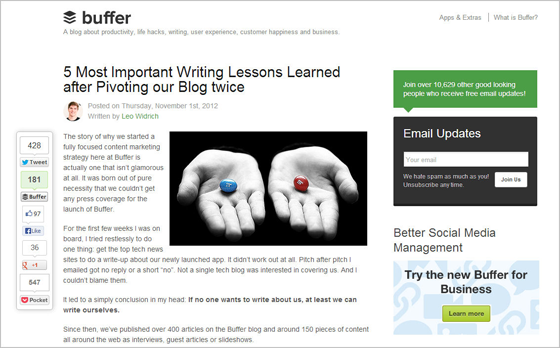 Read this case study on how Buffer pivoted their blog twice. If you’re bored because you don’t want to write what your editorial calendar suggests, rip up your calendar. Throw it in the bin. Instead, keep a list of ideas. When you write your next blog post, pick the idea that appeals to you most. Don’t feel bogged down by this-is-what-I-must-blog-about-today. You should also consider your blogging schedule. Can you reduce your blogging frequency so you can focus on the quality of your posts? And keep your readers happy? Whatever you blog about, be sure to have fun because your enthusiasm is contagious. We’re all human. And we’re all at least a little vain. We like to get lots of page views. We like loads of comments. We love social shares. Simply put, We like social proof. And we LOVE attention. But social proof doesn’t directly contribute to your company’s bottom line. The most important question to ask is whether your blog generates quality leads. How are you turning blog readers into customers? You can get excited about a link from popular blog. Maybe it sent you thousands of web visitors. But don’t pat yourself on the back so quickly. What happened to all those visitors? Did they read and then bounce off? Without lingering? Without checking out your product pages? Without signing up for a free trial? Without joining your email list? Focus on what makes your business grow. Get people on your email list to nurture a relationship and turn them into customers. Measure your email subscribers and conversions into trials or sales. Focus on blog metrics that count. 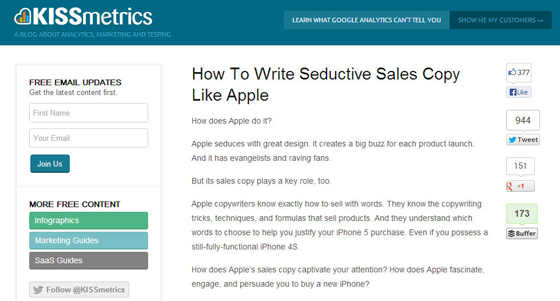 Measure how blog readers turn into business. I’d love to tell you business blogging is easy. I’d love to tell you there are a few quick fixes and that you can win business with no effort at all. But the truth is that blogging is hard work. You need to be creative. You need to write well. You need need to promote your blog. Work hard to become the most comprehensive source of information in your industry. Build your authority. Answer all questions you’ve been asked by customers. Be helpful. And don’t forget to add a dose of personality to your blog. Share your knowledge with passion, because your enthusiasm is contagious.